Often, we are one of the first to receive the latest in contact lenses! We also offer only the best in contact lens technology to provide you with optimal vision, comfort and health. 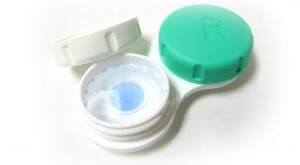 Our contact lens prices are very reasonable, and are usually lower than the major online suppliers. Acuvue – Acuvue® brand lenses are great for near or farsightedness, astigmatism, and presbyopia. Consult with Dr. Batiste for the style of product that is right for your eyes. PureVision – Bausch & Lomb’s PureVision and PureVision2 lines of corrective lenses provide all-distance vision, also good for astigmatism and presbyopia. A prescription from Dr. B. is all you need to get started seeing better with PureVision. Air Optix – Air Optix, from Alcon, offer clear vision with a selection of creative colors and a variety of wear options that are right for you. Barrett Vision is your local resource for Air Optix Lenses.